Dialpad’s mission is to make business communications great. 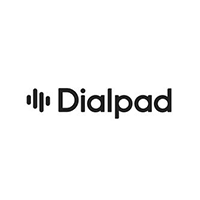 Built on the Google Cloud Platform for unmatched security, reliability and scale, Dialpad’s product suite covers the full range of modern business communications needs with Dialpad Talk, Support, Sell, and UberConference. All products are powered by VoiceAI, Dialpad’s proprietary technology that helps companies unlock conversation insights, improve productivity and drive better performance across teams. Today more than 55,000 of the world’s most innovative businesses use Dialpad and its seamless integrations with Google G Suite and Microsoft Office 365 to be more productive.